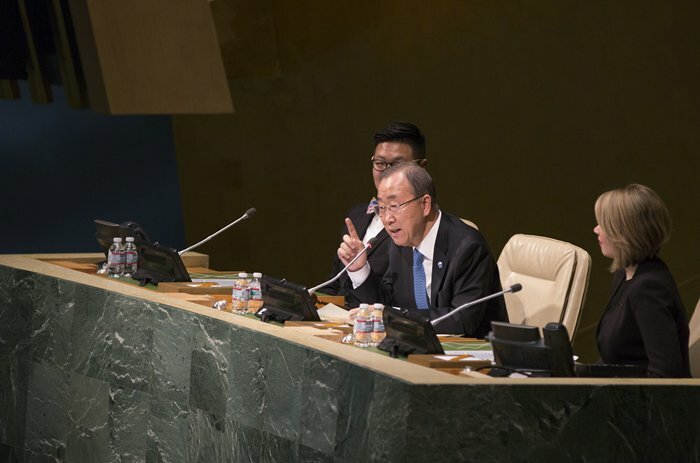 United Nations, New York, USA, March 26 2015 – Over Five thousands university students and Secretary-General Ban Ki-moon participated on the occasion of the conclusion of the 2015 National Model United Nations (NMUN) Conference. United Nations, New York, USA, March 26 2015 – Over Five thousands university students participated on the occasion of the conclusion of the 2015 National Model United Nations (NMUN) Conference. During the Meetings the Students where treated with a concert by a British Band call – The Project from Jo Richardson Community School of East London, UK. Twenty-two students of music and theatre from the Jo Richardson Community School in East London, UK give two performances at the UN Headquarters. 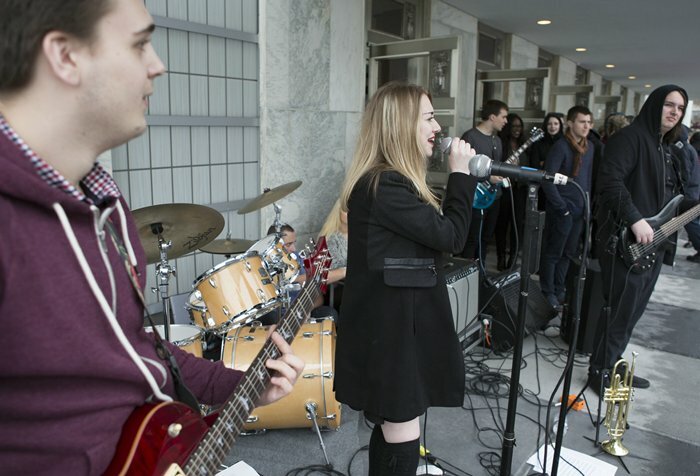 Two 7-piece combo bands perform on the UN Plaza from 1pm-2pm. The bands, of eight musicians and six vocalists, perform covers of hits by Stevie Wonder, The Beatles, Fleetwood Mac, Michael Buble, Eric Clapton , Dolly Parton and many more. The ten theatre students perform in the UN Foyer from 2-3pm and present monologues and duologues from well-known British theatre. All of the students are aged 17 & 18 and are on a first time visit to New York. Jo Richardson Community School opened in 2002. It was the first new secondary school to be established in Barking and Dagenham are of London for over forty years. In one of the most socially and economically deprived areas of London the school’s motto “Success for All” underpins everything that they do and puts the students’ achievements at the centre of their vision. These talented young performers show that this vision is definitely bearing fruit. United Nations, New York, USA, March 26 2015 – Over Five thousands university students participated on the occasion of the conclusion of the 2015 National Model United Nations (NMUN) Conference. 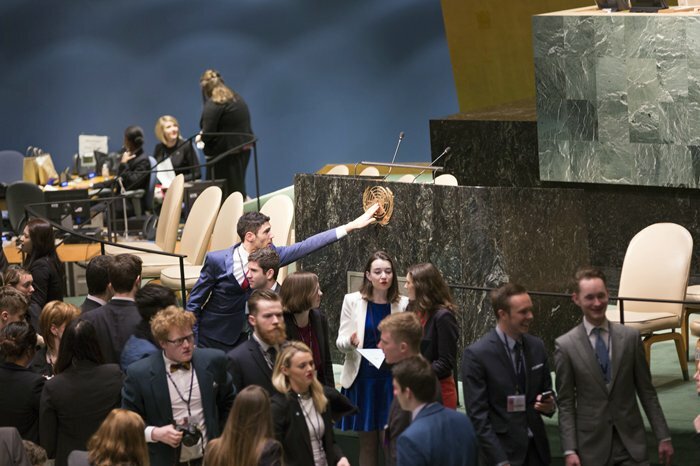 United Nations, New York, USA, March 26 2015 – Over Five thousands university students participated on the occasion of the conclusion of the 2015 National Model United Nations (NMUN) Conference. 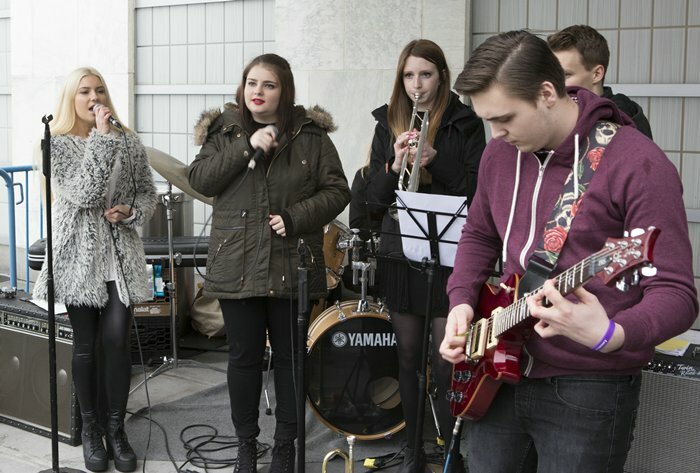 During the Meetings the Students were treated with a concert by a British Band call – The Project from Jo Richardson Community School of East London, UK.